On April 13, 2-16 Hawai‘i Friends of Restorative Justice convened a ninety-minute circle event to consider how restorative justice might be used in Hawai‘i. The circle was held at Ali‘iolani Hale, the Hawai‘i Supreme Court, with 35 people including Angela Davis, iconic scholar and justice advocate, and Mark E. Recktenwald, Chief Justice state of Hawai‘i. Participants included former justice system consumers including parolees, people who work in the justice system, students, academics, and community activists whose names are attached. With the help of Root & Rebound, Hawai`i Friends put together a Hawai`i Reentry Guide with helpful information for those getting out of prison. 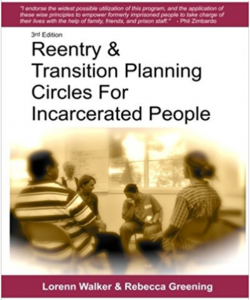 A hand book on how to develop and provide a reentry and transition planning process for individuals. Hawai`i Friends of Restorative Justice is a 501(c)3 organization. Donations are tax deductible and letters of confirmation will be issued for each gift.